The Ingress Visitor Management System (IngressVMS) is a fully automated web-based solution from FingerTec designed to track and manage visitors to facilities. 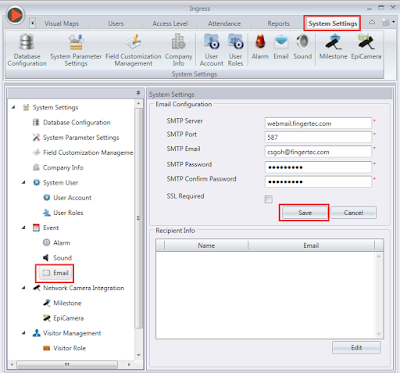 It works as a plugin to our existing FingerTec’s Ingress access control system and interacts with the same MySQL database that Ingress uses, requiring activation and adjustments of some options and configurations in Ingress software prior to using IngressVMS. IngressVMS is a great addition to Ingress solution because apart from managing visitors, IngressVMS offers benefits beyond security. By using the VMS System, you can maintain a clean visitor list and filter out hostile visitors. 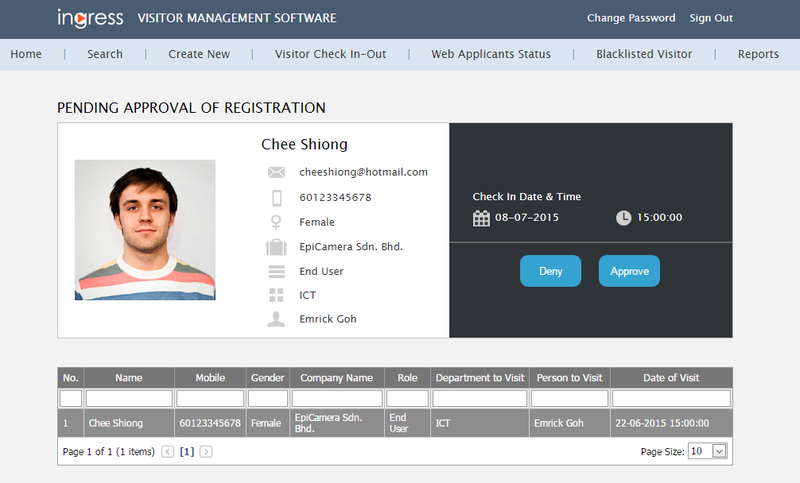 IngressVMS can expedite visitor registration process by allowing the registration to be done online. The online registration of IngressVMS makes things easy for visitors and visitee to arrange for meetings with both people being informed of the appointments status beforehand. 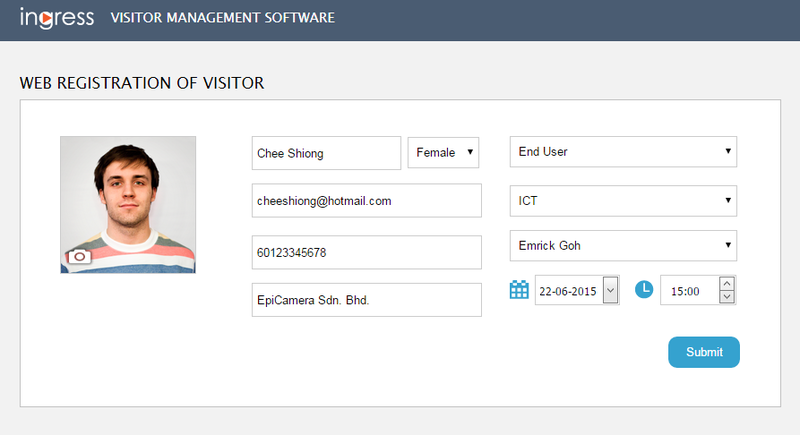 This will save a lot of time and the company gets complete information about its visitors in the system. Please make sure that the email settings are set correctly in your Ingress Software. 1. 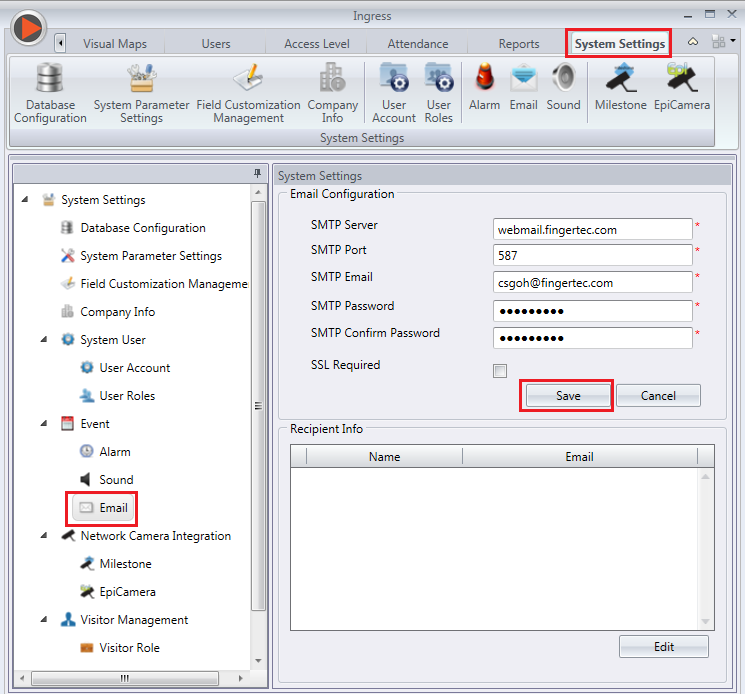 Make sure the SMTP email configurations are fine. 2. 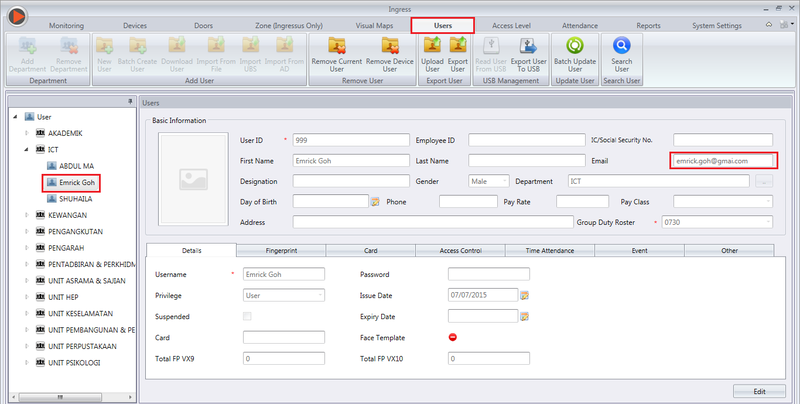 Make sure all the employees have valid email addresses. Before your visitors can use the IngressVMS Web Application, you need to provide them with a dedicated URL for them to access the IngressVMS website. You might need the IT expert to set the fix IP to your network for the Ingress software to run. The URLs that you need to furnish to your visitors are similar like the addresses below. 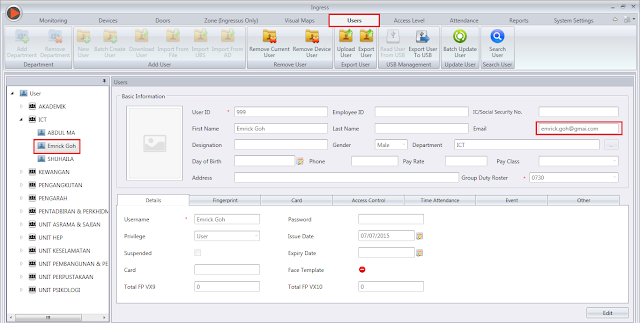 Once this URL is accessible, visitors can visit the URL from any web browser to fill up the registration form. When an application from a visitor is submitted, the application will be forwarded to IngressVMS and email notifications will be sent out to both the visitor and visitee. 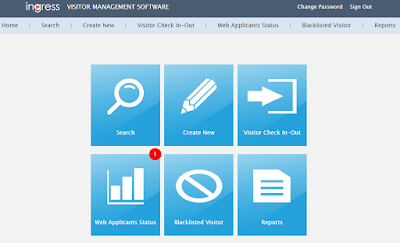 The visitee must notify the system administrator or the front desk personnel whether to approve or deny the visitor’s application under the Web Application Status tab. At the tab, there will be a number on the right hand corner. This indicates the number of online registration pending for approval. Click Approve > Insert text to notify the visitor > Approve > The system will send an email to notify the visitor accordingly. Click Deny > Insert reason of rejection > Deny > The system will send an email to notify the visitor. When the visitor arrives at the front desk, the system administrator needs to login to the system and search for the visitor’s information, and then fill up the remaining details of the visitor and his visit before he can be checked-in.